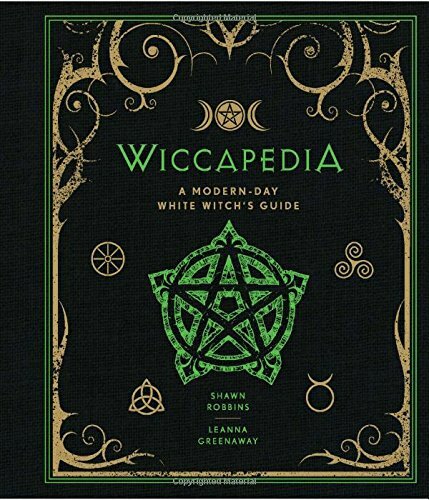 Now in a new, hipper, edgier format, Wiccapedia provides a fresh, innovative, and thoroughly up-to-date look at witchcraft—and gives readers a prescription for happiness. “Spiritual life coaches” and celebrity witches Shawn Robbins and Leanna Greenaway unlock the secrets of the Wicca universe, explaining what it means to become a “simply fabulous” twenty-first century witch. Newfound witches—and even more experienced ones—will learn how to tap into magic, re-empower themselves, and realize their dreams through a little witchy know-how. With its stylish redesigned interior, Wiccapedia is better and giftier than ever!